Mill Creek Entertainment has returned with another batch of cult 80s classics on Blu-ray. One of the best of this recent batch is the very bizarre 1981 John Belushi/Dan Aykoyd comedy team up Neighbors. 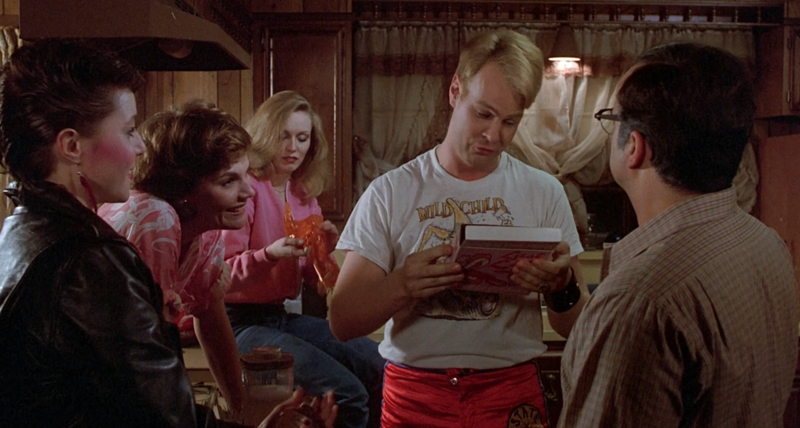 The main plot has to do with Earl Keese (played by Belushi) and his dealings with the new neighbors, the sleaze Vic (played by Dan Aykroyd) and the vixen Ramona (played by Cathy Moriarty). To be honest, I hadn’t seen this since I was a child. After watching it again, I will definitely say that it couldn’t be remade today with the same script because its dark humor and non-PC jokes wouldn’t fly in today’s Hollywood. Then again the 1980s were a simpler time for making films. The Blu-ray transfer is very well done and the color looks great. The sound was also excellent. Mill Creek Entertainment does it again with a nice, quality, inexpensive product.